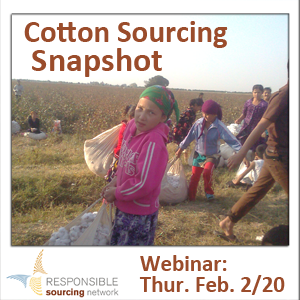 Responsible Sourcing Network will be releasing a report and hosting a webinar on Thursday Feb. 20th with survey results of practices by apparel and home goods companies to ensure their supply chains do not include cotton produced with forced labor from Uzbekistan. Nowhere is forced labor in cotton production more apparent than in Uzbekistan, where every autumn the Uzbek government sends the country’s youth, teachers, and civil servants to work in the fields. Corporations have a responsibility to conduct due diligence that ensures human rights are respected, even if they have not contributed directly to the violations. Cotton Sourcing Snapshot: A Survey of Corporate Practices to End Forced Labor captures what the industries are doing and are not doing to keep their supply chains slavery-free. Points were awarded for 11 questions with an overall ranking calculated for the 49 companies surveyed. The accompanying webinar will be held at 10 am PST/1 pm EST on Thursday Feb. 20th. Click here to register. Patricia Jurewicz is founder and Director of the Responsible Sourcing Network, a project of As You Sow, where she has worked with shareholder communities to address labor and human rights abuses since 2006. Currently she sits on advisory committees for the PPA for Responsible Mineral Trade, the Cotton Campaign, ICCR’s Human Trafficking Group, and the Conflict Free Smelter Program. She has 15 years of diverse experiences related to supply chain manufacturing and corporate responsibility. Patricia has held positions with the Institute for Agriculture and Trade Policy and Gap, Inc. She has degrees from Thunderbird, Cornell, and Fashion Institute of Technology. Karen has focused her career on promoting multi-stakeholder efforts to improve accountability and transparency in corporate supply chains. Her work includes policy analysis and company outreach of raw commodity sourcing, specifically Uzbek cotton and conflict minerals. She attended Roskilde University in Denmark and Lund University in Sweden, earning Masters degrees in Technological & Socio-Economic Planning and Environmental Studies & Sustainability Science. She holds a Bachelor of Arts from UCLA. 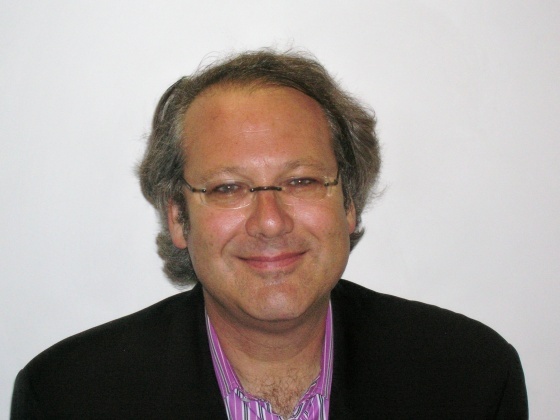 As Senior Vice President for Sustainability Research and Policy at Calvert Investments since April 2006, Bennett Freeman leads the environmental, social and governance analysis, shareholder advocacy and public policy work of the largest family of sustainable and responsible (SRI) mutual funds in the U.S with over $12 billion assets under management based in Bethesda, MD. He has helped to develop the investment themes of new Calvert funds and contributed to Calvert’s leadership on issues such as Sudan divestment; extractive revenue transparency; Internet freedom of expression and privacy; water sustainability; and climate change adaptation. RSN’s Cotton Program aims to eliminate the most egregious human rights abuses at the field level of apparel supply chains. Currently, RSN’s Cotton Pledge against forced labor in the cotton sector of Uzbekistan has garnered 141 signatories.